TV Towers 1. Renovated Corner 1 bedroom and office with Beautiful North Shore mountain views. Upgraded with stainless steel appliances and granite counters from the developer, newer front loading washer and dryer. Open concept kitchen with eating bar opens onto living and dining space with upgraded laminate floors. Huge en-suite storage that was transformed into a walk in closet. Complex boasts 24 hour concierge, huge well appointed gym, Theatre, steam, sauna and hot tub. 1 parking. 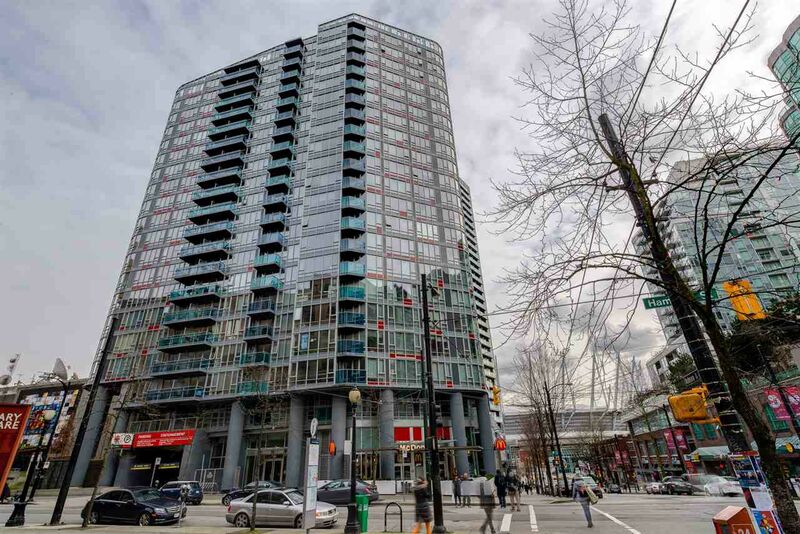 You can't beat this location, right in between Gastown, Crosstown and Yaletown, and steps to amazing restaurants, bars, Rogers Arena, BC Place and all amenities.